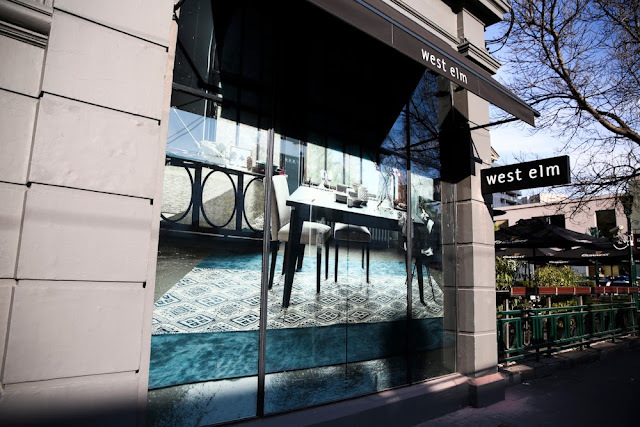 There's less than a week to finish off what is promising to be a go-to designer destination in Melbourne - just another one, mind - the new West Elm store, which will open in Chapel Street at 8am on September 19. West Elm is a member of the Williams-Sonoma Inc portfolio of brands (Williams-Sonoma, Pottery Barn, Pottery Barn Kids and West Elm) and a very welcome addition to the Australian furniture and homewares market, I think you'll agree. The store, which is located at 464 Chapel Street, South Yarra, is the first company-owned stand-alone West Elm store to open outside North America. Housed within a refurbished two-storey heritage building, the store will have 744 square metres of retail space, including a West Elm Market coffee shop on the ground floor. This new store follows recent openings of four Williams-Sonoma Inc stores – West Elm, Williams-Sonoma, Pottery Barn and Pottery Barn Kids - in Sydney's Bondi Junction in May, and precedes the opening of the first West Elm European store scheduled to open in London in fall 2013. Aren't we lucky?